WATCH: Upcoming Video Games of July 2016 | Nerd Much? July is around the corner, and while E3 2016 is in full-steam, we wanted to take a quick break and take a look at the upcoming video games of July 2016. There’s honestly not a lot to look forward to, unfortunately, but there are a handful of releases we will be paying attention to. I Am Setsuna, for example, is probably our most anticipated game of July, and we’re planning to pick it up on July 19th. Ghostbusters could end-up being a relatively fun co-op experience for at least a weekend playthrough. If you haven’t been collecting that sweet, sweet Rocket League content so far, it will make its way to retail shelves on July 5 with a Rocket League: Collector’s Edition for Xbox One, PS4, and PC. I’m also going to go ahead and recommend you pick up Moon Hunters if it strikes your fancy, as we’ve been playing the PC version for a couple of months, and loving what it has to offer. It’s especially great if you’re looking for a quick to pick-up couch co-op game. 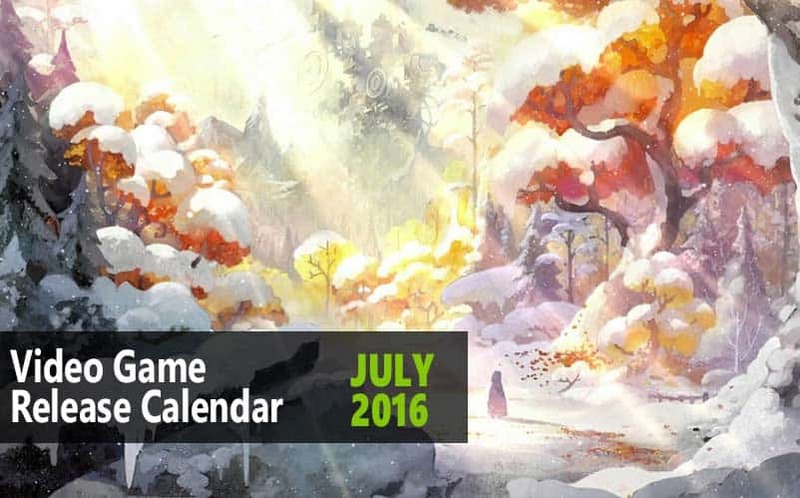 You can also check out June 2016’s games here.